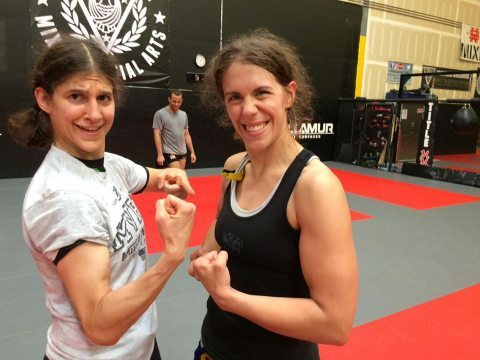 I want to make sure I helped my friend Serena train for her fight in Tuff-N-Uff on June 17th. 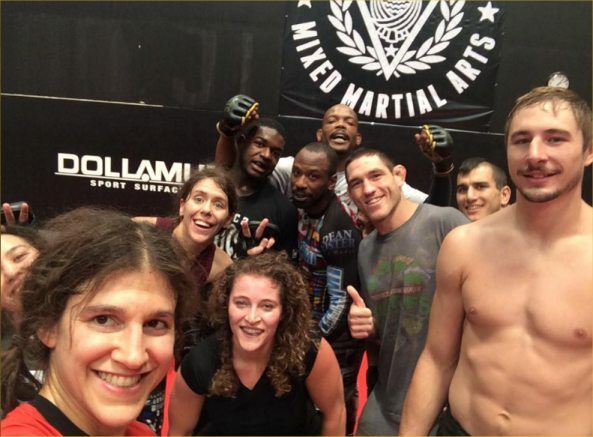 I wasn’t really able to last week because I was trying to recover from my own fight while taking care of the crazy aftermath of my fight and then TUF tryouts. Serena is one of my best friends and trains super hard every day. She’s like me in that she has to be held back or she’ll burn up, rather than have to be encouraged to go to the gym. I’m so proud of her and her outstanding work ethic. 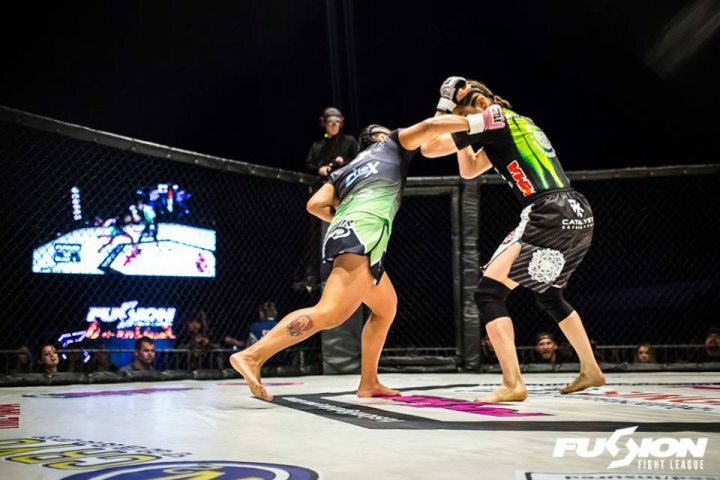 It’s ironically stupid that she lost her last fight because she’s been making massive improvements in her technique and game. I want her to have confidence in what she’s built up, and know that she can still win. Having been on a 5-fight losing streak, I know how hard it is. 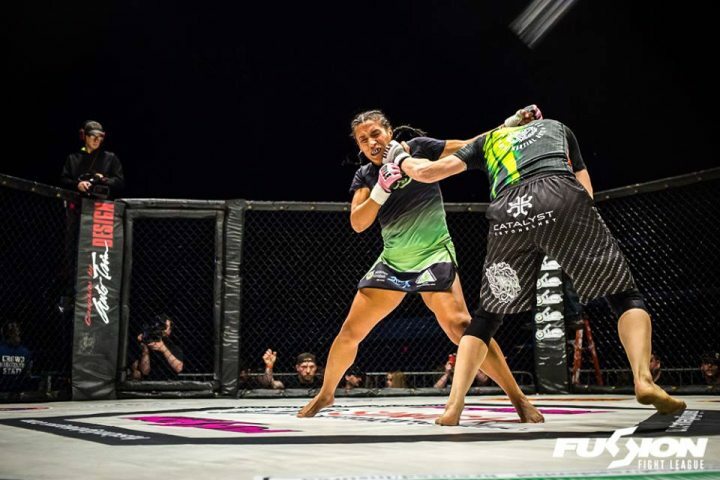 After I lost, and therefore lost confidence in myself, I made a change in my training, trained hard, believed in it, and went into the fight with renewed confidence believing that I changed myself into a different fighter in the past and I could achieve good results. And the second those negative thoughts start coming into your head, you have to replace them with positive ones. Remind yourself what you’ve been doing, remind yourself of your growth, remind yourself of your gameplan and how you can win. Because you can’t just banish thoughts without having anything take their place. “Replacement of thoughts” is the key, I think. Coach John used that phrasing and I like it. Anyway, she’s looking sharp and strong and is the best version of Serena southpaw I’ve ever sparred with! 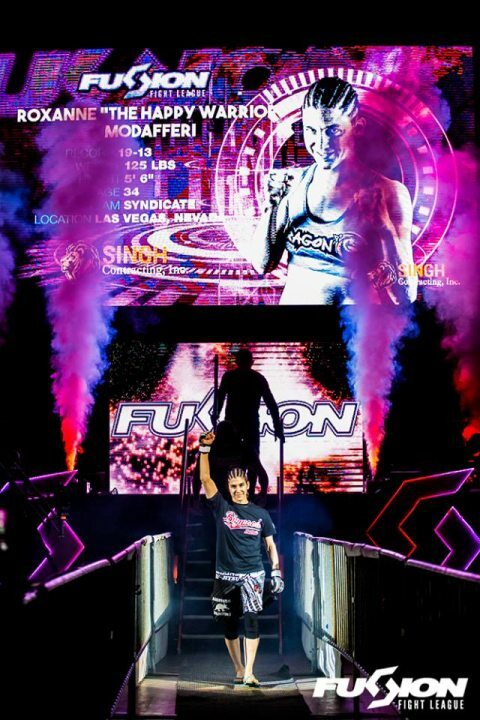 Here are some new photos that came out from Fusion Fight League April 1st, taken by Ryan Hall, matchmaker of that event and photograher. He really got great close up pictures of our eyes and facial expressions! I don’t think I’ve seen my expression like this before! I always rant about my awesome coaches but seriously, they teach me something and I literally go out and do it. Of course, I have to be able to go out and execute the techniques, but I can’t say enough how grateful I am. My friend Candy lent us (mostly Serena) the Attack on Titan Playstation 4 game! Which Serena kept inviting me to play, but it was bad timing, because I don’t consider video games relaxing. Anime is relaxing. Video games take mental effort and I never wanna play in the evening after training. Serena is away dogsitting for a week… I took the liberty of starting a game…. sorry Serena? ^^;; I probably won’t finish it because it’s freaking me out that Titans are chasing me, but I just wanted to play a little. Thanks, Candy!!!! Oh yeah, the Ultimate Fighter tryouts. I did the tryouts! “Oh did you make it?” everybody and their brother are asking me. 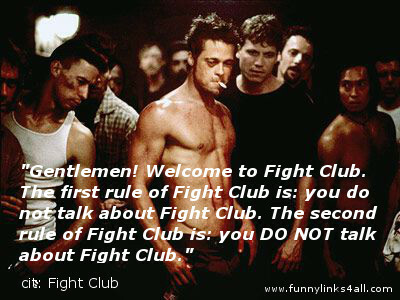 The first rule of the Ultimate Fighter is you do not TALK about the Ultimate Fighter. LOL Whether people made it or didn’t, nothing is decided, and even if it was, I couldn’t tell you. So quit asking. It was cool to meet a lot of people I knew there! There are a bunch of women I hope make it! Here’s a cool video of the tryouts with a bunch of interview and training clips of me! I’m so glad I wasn’t injured so that I could do tryouts. I’ve been getting a lot of press, I think, riding the wave of my Invicta victory and then going straight to tryouts. 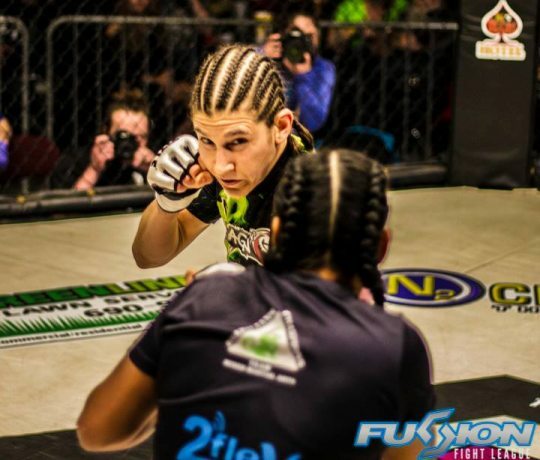 I had my fight braids still in. Capitao was yelling at me all week, “GO HOME! YOU NEED TO REST!” but I kept trying to do his jiujitsu class. lol Did I listen to him? Kind of. Not really. Finally Monday, I did MMA class. 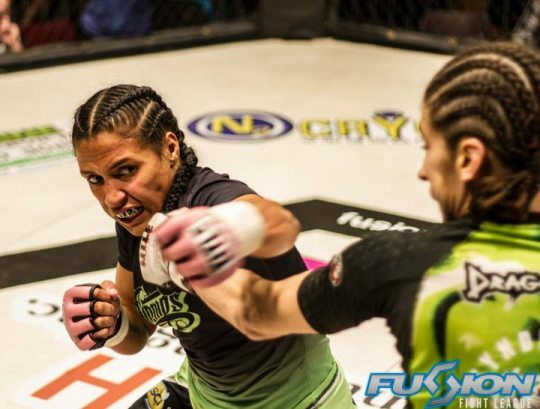 So I’ve been wanting to interview Jennifer Maia for the website I occasionally write for, mmasucka.com, but I couldn’t speak Portuguese, so I emailed Invicta asking them to set it up. They told me to wait, and then never got back to me. That was October. 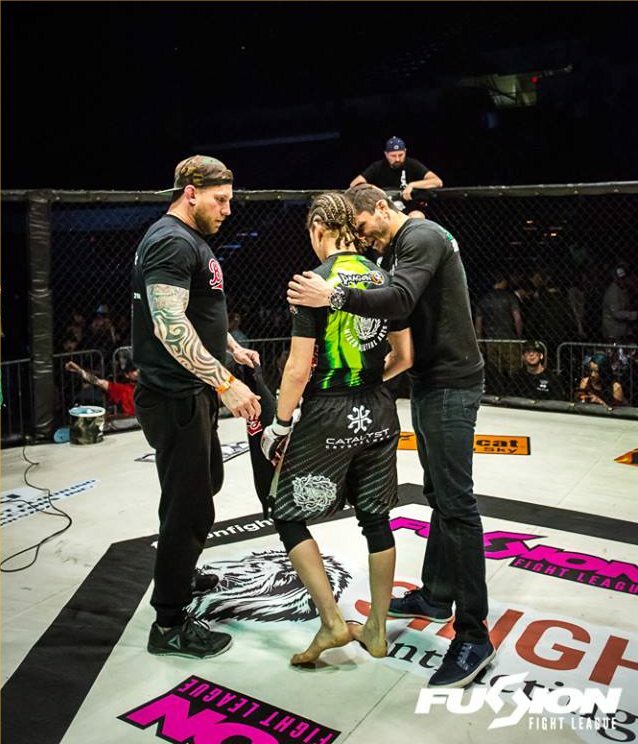 Dude, she’s the champion and I haven’t seen ANY interviews out about why she started MMA or anything about her! That’s too bad! She seems like a good person. Well guess what. I can speak Portuguese now (kind of) so I just Instagram messaged her and she agreed to do my interview! My friend Thais will help me translate this! (She doesn’t know this yet, but she will :D) I’m so excited!!! yeah, I interview my opponents. okay gotta go train now. Here’s a nice interview I did.